Soon the Center for Teaching and Learning will launch a website designed to help students be more successful in their team projects. We define teams as formal groupings of students that stay together over extended periods of time to work on a common goal such as development and delivery of a group project in a class. In preparing this site, my colleagues and I surveyed teachers to determine the areas of assistance they thought their students needed. We talked to undergraduate students in focus groups to determine their attitudes towards group work and to learn what resources would help them while working in a class project team. 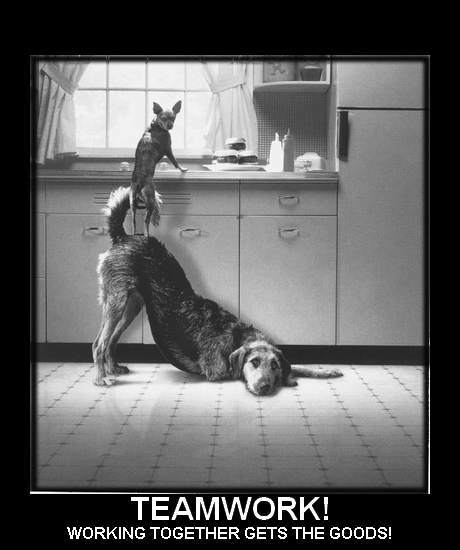 We also consulted the literature on cooperative learning, teamwork, and group dynamics. As a result of this intensive experience, I share here four principles that have emerged as critical for students in creating successful groupwork projects. I plan to incorporate these principles in my own teaching and I encourage any instructor who designs and assigns team projects in their courses to draw on these principles. 1. Assign the teams early in the semester. Assign teams to distribute relevant experience and skills. Larry Michaelsen refers to this as distributing member resources. Michaelsen explains that each team should have access to the assets that exist in the whole class and not carry more than a fair share of the liabilities. For instance in my course, Teaching in Higher Education, one of the assets that exists in the whole class is experience teaching at the college level. In a pharmacology class the assets may be a strong chemistry or biology background. These assets are easily determined by giving your students a survey at the beginning of the semester. Once formed, mixed experience groups allow students to learn from each other. A few students told us that they prefer to choose their own groups, yet they often form groups of similar abilities. Overall, many students told us that they actually prefer having the groups assigned by the instructor. It takes time for teams to gel, so assign teams as early as possible in the semester. Then give those groups something to work on so that they can work out the kinks. An early assignment might be to come up with a team policy statement on how they are going to work together to reach their goals. An additional advantage of assigning teams early is that it creates a social support system that provides personal accountability and camaraderie for students. This can be especially important in large lecture classes with students new to university. 2. Require students to work on the team process. By “work on team process” I mean to spend time as a team discussing the ground rules for how the team is going to work together over the semester, including how they will manage conflict. In the previous section I mentioned the possibility of asking teams to devise a team policy statement. Though there is support for this in the literature, we found in our focus groups that many students don’t think of this as important – even those students who described having negative team experiences in the past. For our website we created two simple and easy-to-use documents to assist students with this. The Strengths and Roles Table asks students to identify their individual strengths and goals for the team project and assign roles accordingly. The Policies Agreement Guide asks students to come up with policies for how their team will approach facilitating meetings, managing conflict and holding each other accountable for their work. The students who evaluate these documents many said that they might be useful but they probably wouldn’t follow these steps unless their instructor required active use of the forms as part of the team-related work. Requiring student teams to work on team processes is one small step instructors can take to communicate to students that you think this is an important use of their time. Assigning a few points for completion of these documents makes it more likely that students will actually do them. Students don’t need to have a complicated team charter at the end of the process, but we have learned that simply having this conversation will improve group dynamics. 3. Design an appropriate project and break it into pieces. Larry Michaelsen states that the most fundamental aspect of designing appropriate team assignments is that they truly require group interaction. Choose a project that requires the input and shared decision-making from all team members for completion. Avoid projects that students can easily divide amongst team members with components worked on individually. By breaking the project into pieces, we prevent procrastination, distribute grading more evenly over the semester, and lessen the stressors of a single, final, high-stakes submission of a project. For instance you may ask students to turn in a resource list or annotated bibliography as a precursor to their moving on to drafting a final assignment. These smaller achievable pieces followed up by feedback helps teams move forward with guidance rather than rush into hastily developed and perhaps plagiarized projects. When evaluating your own team project, ask yourself the following question. Is input from multiple people essential for a high quality product? If not, you may want to consider modifying your project. Wales Rugby Team, from “Doing it together better than doing it alone” at http://herd.typepad.com. 4. Provide class time for students to work together. The most common complaint we heard from our undergraduate focus groups is the difficulty of juggling the schedules of team members to find meeting time. Hearing this same complaint over and over convinced me that it’s important to provide class time for students to meet and work on their project together. 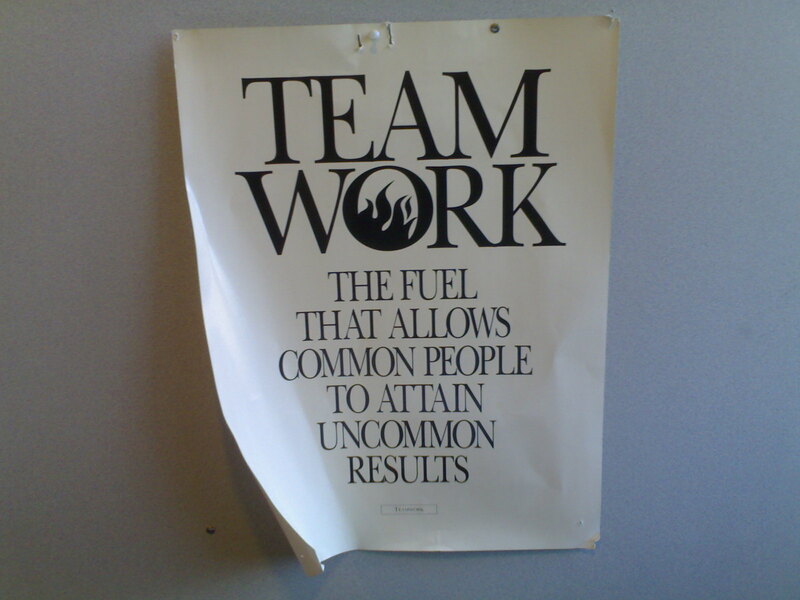 In the “real” world of work, teams are provided time to work together, in fact they’re paid for it. If our goal is for students to create a high quality product, we should do what we can to help them be successful. Another advantage to providing students time to work together in class is that you are available to answer any questions or clear up any confusion they may have about the assignment. In my Teaching in Higher Education class, I give students four one-hour blocks of time to meet with their teams distributed over four weeks in the beginning of the semester. If you require some type of output relevant to their team project from this in-class time, it also helps prevent procrastination.